Day 3 saw the continuation of yesterday’s activities in Trenches 11 and 12. Mattocking was undertaken in both trenches along with shovelling. With both trenches in relatively close proximity to one another it is no wonder that we are finding relatively similar archaeological material from both sites. Trench 11 painted an interesting picture for interpretation during the afternoon with a series strips of darker soil. running north-south. The pattern of light brown with dark brown soil has led to the identification of the striations as agricultural furrows. Finds from the trench include ceramics, glass, different shaped iron objects and clay pipes. To the east of the trench an amalgamation of large stones has been uncovered. With no clear patterns to date it is unknown as to whether these may be natural or not. Trench 12 saw the same mattocking, cleaning back and shovelling as trench 11. A similar appearance of large stones has appeared to the eastern section of the trench. It is unlikely that these bear a resemblance to that of trench 11, however evidence for the heavy agricultural activity in the past at the site is good information as we further through excavations. Finds from trench 12 include ceramics, glass, clay pipes, iron objects as well as a medieval tile. 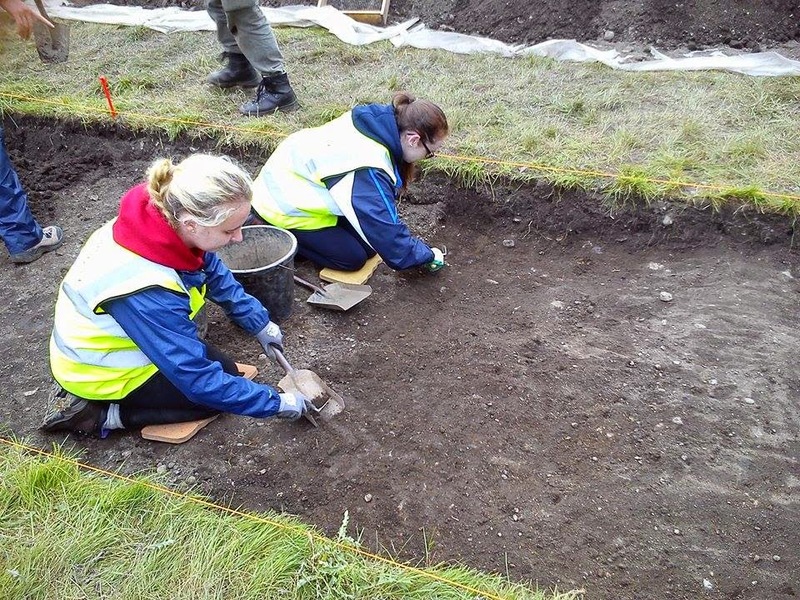 Day 3 began similarly on trench 10 with the remaining topsoil being removed and the stone feature being cleaned off. Excavations then stopped for the day as a pre-ex-plan was carried out now that more of the stones had been uncovered. Visitors were more frequent today at the site which gave us a chance to interact with many tourists and a number of locals and it was interesting to hear some of Glendalough’s history from those that live there. 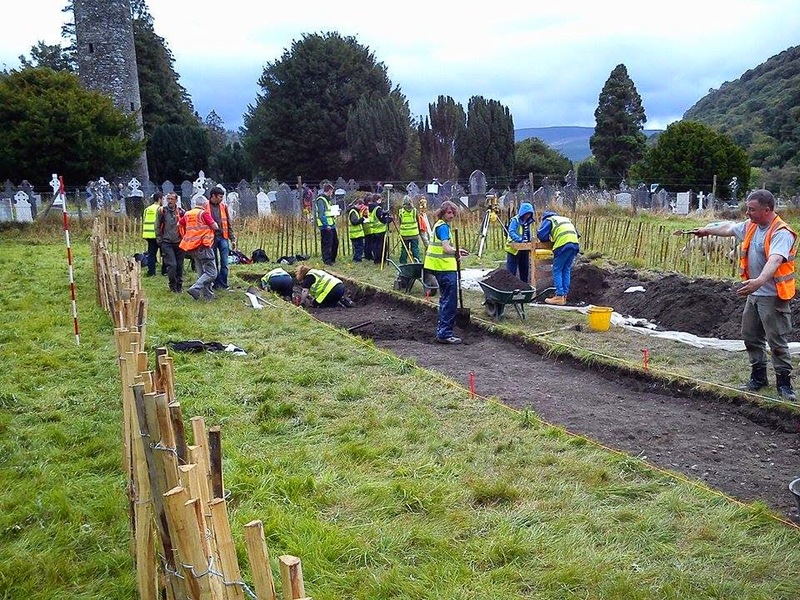 At the end of day 3 we are starting to grasp the recent past of the site between the monastic complex and our lady’s church. With heavy agricultural activity being a prominent feature in both trenches we can then expect similar disruptions in the archaeology. Another successful day with many interesting features arising.